- without the support from our Premium Members, we wouldn't be able to bring you this awesome resource. Veterinarian? Veterinary Nurse? Veterinary Practice Manager? Receptionist? Wanting a career in the veterinary industry? 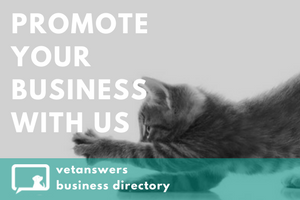 If you work in the veterinary industry then this is the place to find out about all the conferences, workshops, seminars and webinars that are of interest to you. Technical skills? Business skills? Client service? Personal development? 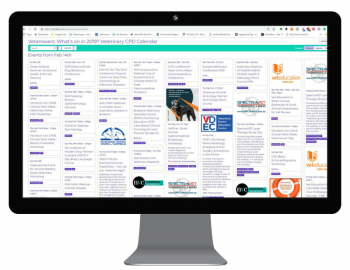 Developed and presented by Vetanswers our Veterinary Professional Development Calendar allows you to see ALL veterinary conferences, course, webinars and more in the one place. Click on the Calendar image to download a pdf version so you see all the details and print up as required. The calendar is published monthly (sometimes more!) to keep it up-to-date with new courses, webinars, etc. as they are confirmed so don't forget to check back for new versions. If we've forgotten to include any courses that you're aware of then please let us know. If you are part of a training organisation and would like to advertise any of your courses for 2019 in our calendar please click here to find out more about our 'Training Calendar Guidelines' or contact us for further information.